Getting your Glow On is so Important on Wedding Day. ‘Cuz guess what? When your fiancee takes that walk down the aisle towards you, his eyes will be looking in one single place. He’s not gonna be focusing on the gorgeous dress you agonized over, or even your amazing floral crown. He won’t be checking out the perfect bouquet that took weeks of planning with your florist. Neither will he be looking for his friends to high-five down the aisle. Your guy is gonna be 1000% laser focused on YOU and your beautiful, beautiful face. So, for sure, you are going to want that face to glow. Of course, you WILL already be radiant with happiness; but it won’t hurt to have dewy, plump, natural, healthy, glowy, illuminated skin, too. One way to get that glow? Primers!!! And we’ve got the top ones here for you to choose from! If you desire a lit-from-within, healthy-looking, radiant face on your wedding day (and we know you do!) we highly recommend BECCA’s Backlight Filter Face Primer, $38 at Sephora. This stuff helps blur imperfections and imparts the most radiant glow to your face, EVER. This magical liquid creates a super-smooth canvas for your makeup, extending its wear for hours and hours. (Long enough for your wedding AND your reception.) Infused with BECCA’s proprietary blend of light enhancing luminescent, crushed pearls, this one-of-a-kind, lightweight, whipped fluid creates and acts as an instant filter. Packed with vitamin E, this wonderful formulation minimizes the appearance of fine lines and wrinkles. Mix a few drops with your foundation for an even more diffused, romantic, soft-focused radiance that allows your complexion to glow. Want to perform a bit of magic on your face? Try this holy grail primer beloved by makeup artists for years. Smashbox Photo Finish Foundation Primer, $36 at Sephora (in any of their collection of superstar primers) instantly primes and evens skin tone. Packed with high-def spheres which blur imperfections, this transparent primer gel makes makeup look better and last longer. All you have to do is smooth a layer over clean, moisturized skin before you apply your makeup. Your makeup will glide on flawlessly and even better it will last for hours and hours. Lines and pores will diminish and your skin will look as smooth as a flattering Snapchat filter! Another benefit? It also works on your hair to tame frizzies. Expect nothing less than a revolutionary beauty product from the storied House of Dior. The respected French fashion house delivers a powerhouse primer, Airflash CC Primer, available for $50 at Neiman Marcus . This one is perfect for brides looking for a radiant complexion! Their revolutionary spray technology brightens dull complexions, color corrects imperfections, erases shadows, AND evens out skin tone. This exclusive formulation includes an energizing mix of minerals to refresh the skin as well as hyaluronic acid to plump and smooth. YASSSS! You can layer this product under your foundation to set and hold, or use it alone for a radiant glow. 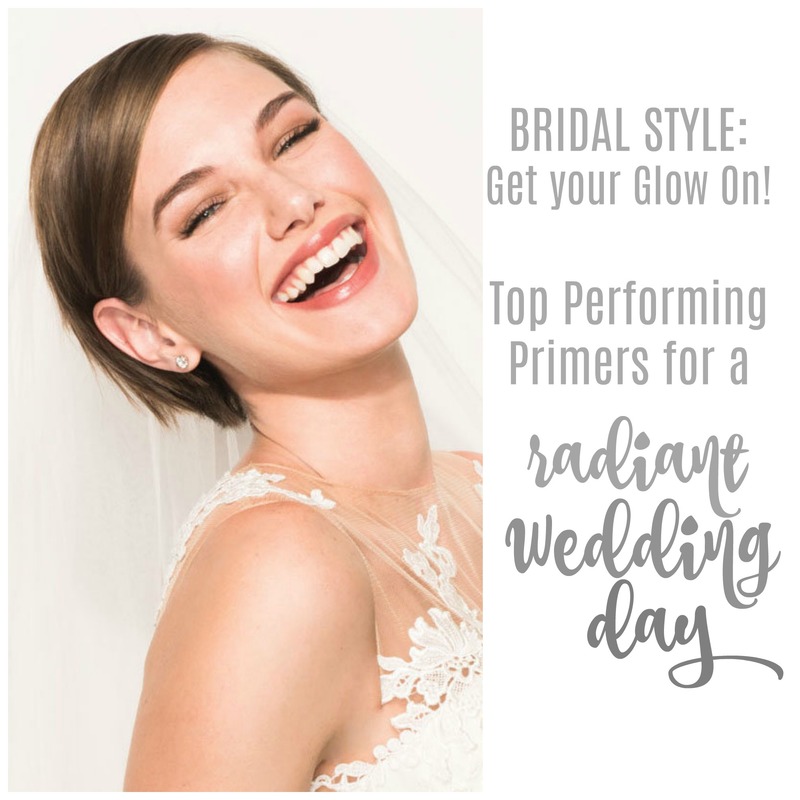 For illuminated, effervescent, glowing skin we definitely recommend starting your wedding-day makeup look with a primer. Your skin will look amazing, and your makeup will last through every single step of your day. Most importantly, your guy will fall even more in love with you as he watches only your beautiful, radiant face as he walks towards you and your happy-ever-after.